Updated- June 5, 2017 at 2:26 p.m: Itzia Guzman has been located and is safe. The Dallas Police Department is asking for the public’s assistance in locating a critical missing 22-year-old female. On June 4, 2017, at about 6:30 p.m. Ms. Itzia Guzman was last seen at her residence in the 9000 block of Markville Drive. 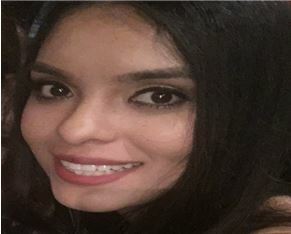 Ms. Guzman is described as a 22-year-old Latin female, 5’5’’inches tall, weighs 110 pounds, with black hair and brown eyes. She was last seen wearing gray leggings. Ms. Guzman has indicated that she wanted to harm herself. Anyone with information regarding Ms. Guzman is asked to call the Police Department at 911 or (214) 671-4268, reference case number 126398-2017.